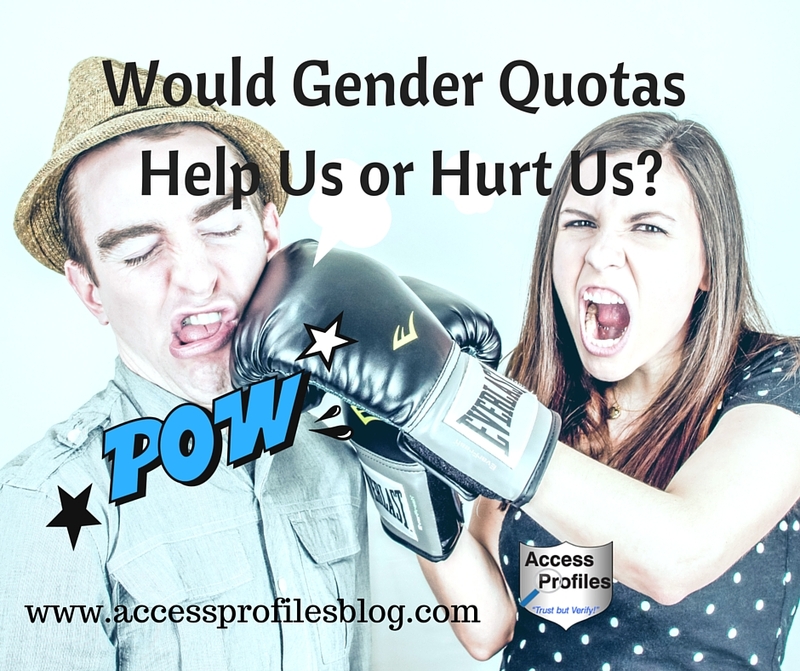 Would Gender Quotas Help Us or Hurt Us in our Quest for Equality? Whether that means equal pay for equal work or wanting a level playing field when it comes to getting a job or promotion, women continue the fight. And there is no doubt that the road to gender equality is a slow one. It is a sad fact, but we are still fighting for some of the same rights we were asking for years ago. This leaves many of us feeling frustrated. Over time, we have seen a gradual closing of the gender pay gap. And currently, the Equal Employment Opportunity Commission (EEOC) is on a mission to close it even further. But that only addresses equal pay. 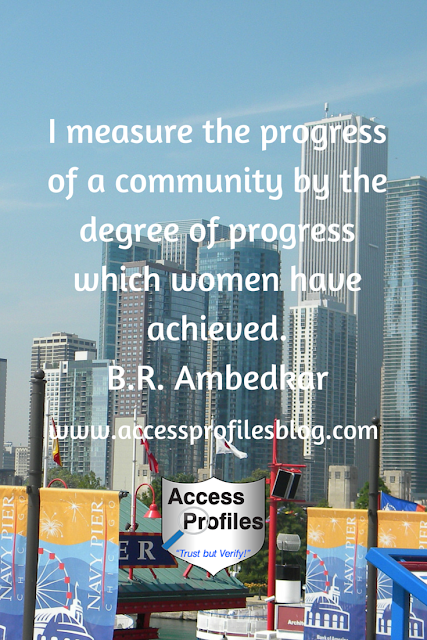 It does little for advancing the cause of helping women rise in the ranks. Other countries have looked to bring more women into leadership positions by enacting gender quota laws. Their goal is to make women more present in both the political arena and on corporate boards. would Gender Quotas help us or hurt us? As a country, we have often paid lip service to giving women an equal shot and cracking the “glass ceiling”. Companies, at least outwardly, say they welcome us in their executive positions. And many are even actively recruiting women to achieve this goal. Sadly, the presence of women in the boardroom still lags behind. At times, this absence is caused by a lack of interest in promoting women or even to true gender bias. But most often, the real cause is much more subtle. Employers, without even realizing it, may have a subconscious belief in the stereotypes that hold women back in the workforce. For example, tradition has it that we are the primary caregivers and responsible for the majority of the family’s day to day needs. As a result, employers might think we can’t put in the time necessary to excel in higher level positions. This perception continues. Because of this, we can be excluded when it comes time to promote. And it can derail our professional progress. So, what can we do to get more women in the boardroom? Are Gender Quotas the Answer? Implementing gender quotas indeed would result in more women being hired and promoted. To comply, companies would have to bring more women into their companies or risk scrutiny and litigation. And if simply filling a pre-determined number of leadership and lower level positions with women were our goal, then gender quotas would be a success. But, does that really further our true cause? Instead, I believe that if quotas are enacted, every time a woman is hired or promoted, it puts in question “why”. Was it simply to meet that quota or because we were really the best person for the job? This immediately puts women at a disadvantage and surrounds our hire with suspicion (much as it does with race based quotas). Instead of helping us, this perception hurts us. And if our ultimate goal is the equal treatment of men and women in the workplace, then quotas may actually end up dividing us more. Women candidates would suddenly be favored over male candidates, even if we are less qualified. This does nothing but make others resentful and encourage the belief that our hire or promotion was not justified. Some may argue that despite the division and resentment that gender quotas would create, that “the ends justify the means”. That by forcing more women in the door, we are at least a step closer to getting them to the executive suite. And once we get there, we can pay it forward and help other women succeed. I think this is an error in thinking. Ultimately, if a company is forced to hire us, even if they feel other candidates are more qualified, then we lose. And the reason is the word “force”! When anything is forced upon people, there is a tendency to resist, and a feeling of resentment builds. Instead, when women succeed in business based on our merit and skill, we all, companies as well as women, benefit. Here we are not being promoted simply because we are women, but because we have earned it. This is critical if our quest is for women and men to be truly equal in and out of the workplace. Of course there will still be employers who are biased. They will continue to hire us less frequently, or will deny us the promotion, simply because we are women. That is where stronger enforcement of existing anti-discrimination laws should step in. The Fair Credit Reporting Agency (FCRA) and the Equal Employment Opportunity Commission (EEOC) already have guidelines in place that prohibit discrimination in hiring. Denying employment, or eliminating from promotion, any person based on their race, religion, age, sexual orientation, or gender is illegal. And these laws continue to be expanded and suits filed against companies who do not comply. It is active, persistent, and strong enforcement of these hiring laws, and not gender quotas, that will encourage the hiring and promotion of women. I believe that women deserve to be treated equal to men, in all facets of society. I believe that companies benefit from having a diverse workforce. This is a cause we can’t abandon. There should never be an instance where women doing the same job as men, and with the same qualifications, is paid less. Learn more in “Discrimination ~ Gender Bias Keeps Us from Earning What We are Worth”! I believe in the stringent adherence to all anti-discrimination hiring laws. And, most importantly, I believe Women are Strongest when We Band Together. 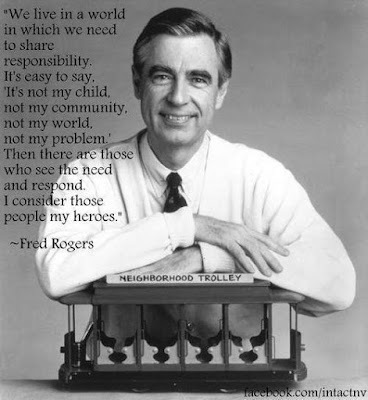 We need to present a united front and put aside the differences that divide us. 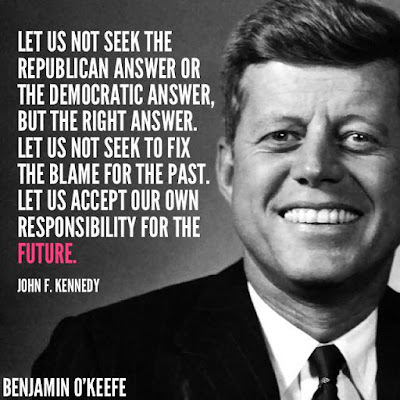 We must be ready to help ourselves! (You can read more about my thoughts on this in “Women in Business ~ My Case for Why We Need to Help Ourselves!”. 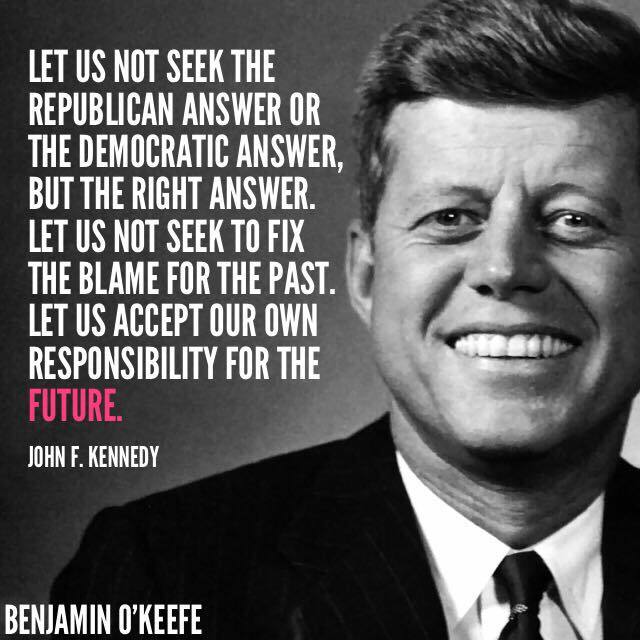 These beliefs will never change. I vow to continue to further the cause for women wherever I can, and to believe that every step we take brings us further towards the equality we truly deserve. But I don’t believe Gender Quotas are the way to get there. Get one new article each week focused on Small Business Tips and News! 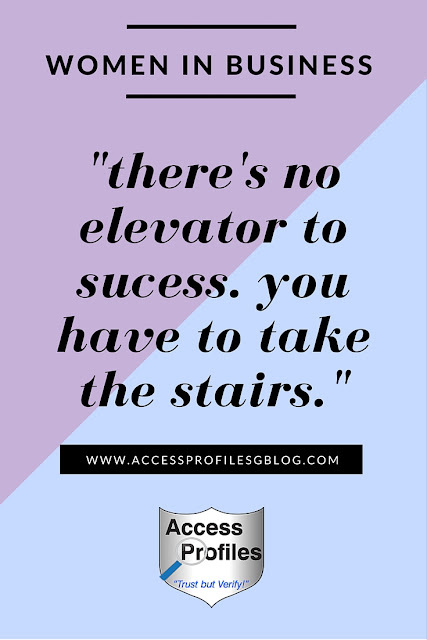 to discover what Access Profiles is all about! both for the employer and the applicant. Employers are concerned about finding the right person for the job and having the right candidates apply. Job seekers are worried about finding the job they really need. They question whether anyone will even call them in for an interview, let alone offer them the job. In many instances, both parties are fearful about the entire hiring process. And this is especially true about the background check! 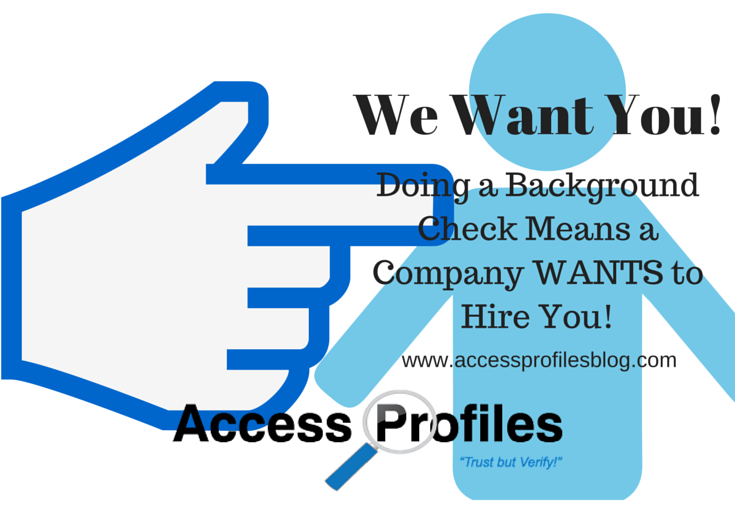 Open Background Check Communication Starts with You, the Employer! "Tweet This"
The best place for this open communication to start is with You, the employer! You need to be completely up front about What You will Check, What You are looking for in the background check, What Factors can Cause Delays in the Background Check, What Errors can be encountered during the entire process, and What are Your Applicant’s Rights. The best place to start your explanation of the background check process is to discuss what you will be checking. The scope of the screening should be something that you decide long before even advertising your open position. That scope is best when it starts with a well thought out job description. A good job description will help you determine exactly what skills and experience you need to fill your position. It will also help job seekers know whether they will be a good fit with your company. Find out more in “Job Descriptions ~ How to Write One and Why it is Important to Do it Right!”. 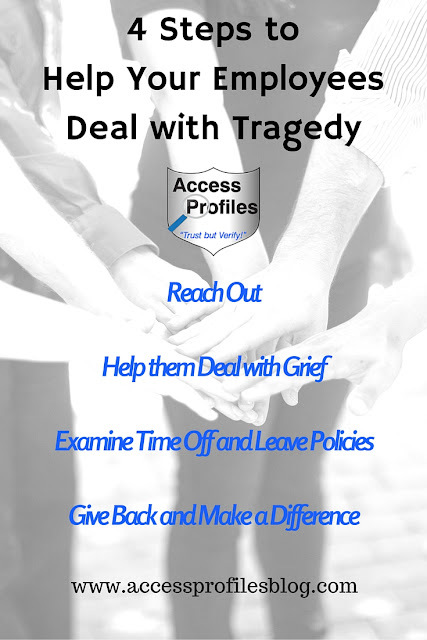 Beyond that, your job description will also be invaluable in deciding on what you need to include in the background check. The job’s duties will be your guide. 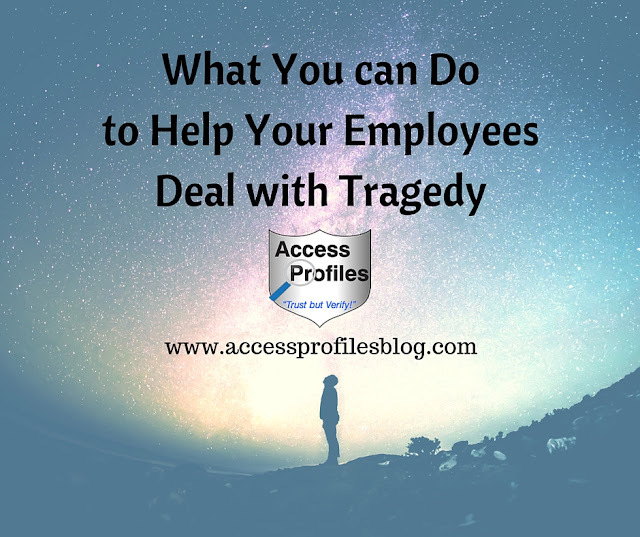 You will need to consider the level of your position (hourly, salary, management), whether they will have access to company assets or sensitive data, and if they will they have direct contact with clients, customers, and other employees. 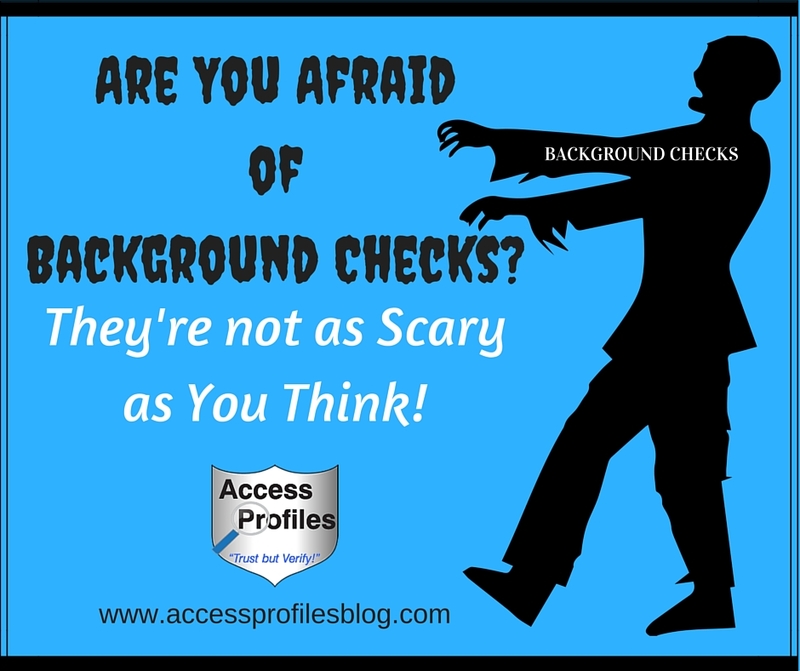 Answering these questions will help you decide on the scope your background check needs! Find out more in “One Size Does Not Fit All ~ Why You Need to Fit the Background Check to the Job”. As an employer, it is wise to share exactly what you are looking for when it comes to the background check. Knowing this in advance can go a long way towards alleviating your applicant’s fears. “This fear often arises out of a lack of understanding about what a background check really entails. Applicants are confused about what will be checked, worried about their privacy being compromised, and don’t know what an employer is really looking for!”; excerpt from “Are You Afraid of Background Checks? They are Not as Scary as You Think!”. While usually the screening process runs smoothly, there are things that can cause delays. These delays most commonly occur when trying to verify education and employments. Often times the source is either unavailable or not responding in a timely manner. However, delays can also happen when it comes time to contact courts for criminal or civil records. Accuracy here is key, and it may be necessary to pull physical records to make sure they truly belong to your applicant. No matter what the potential cause for delays may be, being proactive and sharing this information with your applicant makes sense. 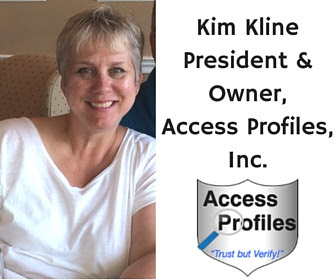 Learn more in “The Life of a Background Check, Start to Finish” and “The Truth Behind Hiring ~ What Really Goes on When You Apply for a Job”. It is also important to explain that errors are possible during the screening process. Common names, court records missing critical identifying information (date of birth, social security number, etc. ), identity theft, and records that have not been updated to include the disposition or an expungement are all cause for background check errors. Mistakes can also occur due to human error. Court record information can be entered incorrectly. Names, addresses, and other identifying information may be mistyped. No matter what the cause, the most important thing is for you to explain this possibility to your applicant upfront. You should then assure them that all care will be taken to be as accurate as possible. Finally, before you even begin the background check process, it is essential that you explain your applicant’s rights. 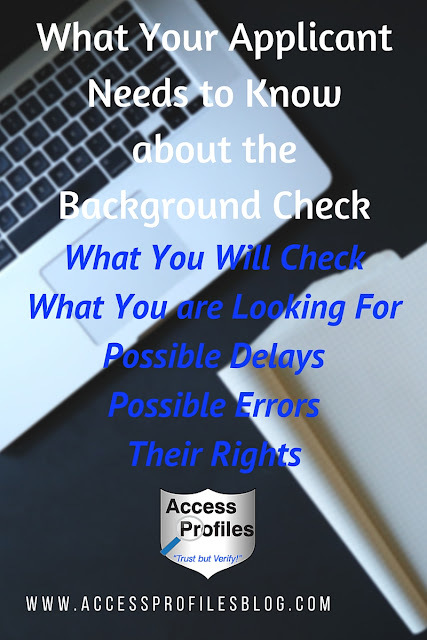 You should first be completely forthcoming that a background check will be done. You must then obtain a signed release from your applicant and inform them, in writing, of their rights if negative information is found during the process. 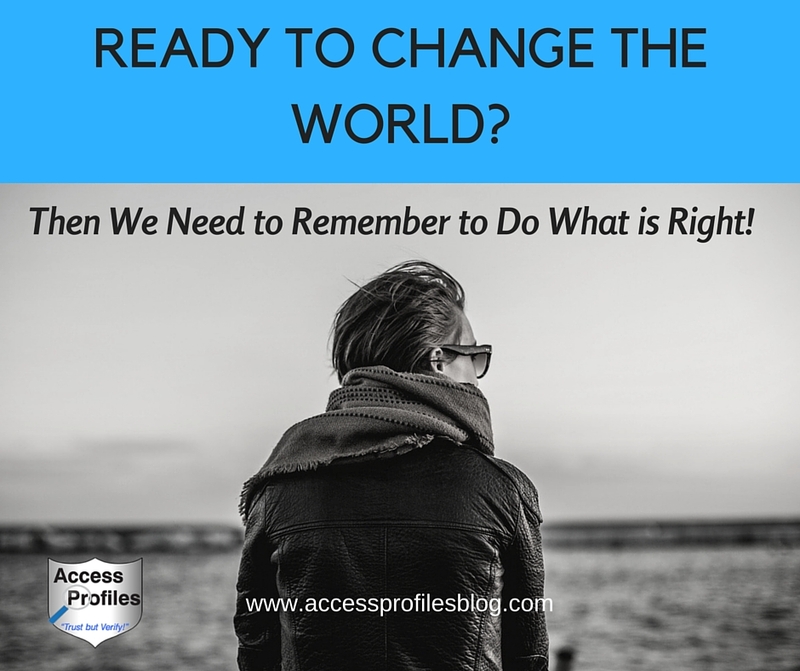 Those rights include providing your applicant a copy of their background check report, along with contact information for the company that provided the report. Your applicant must be given these rights in writing. In addition, your applicant has the chance to mitigate or deny the negative findings. It is then required that you assess this additional information before making your final hiring decision. 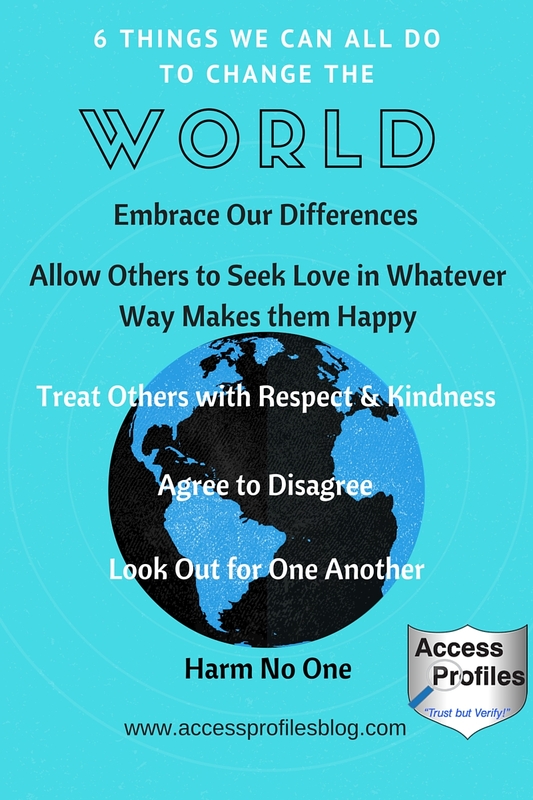 The best way to accomplish this is through Individualized Assessments. 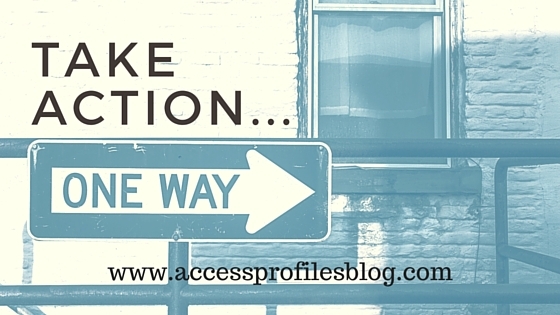 Find out more in “Individualized Assessments ~ What They are and Why You Need to Use Them in Your Small Business”! 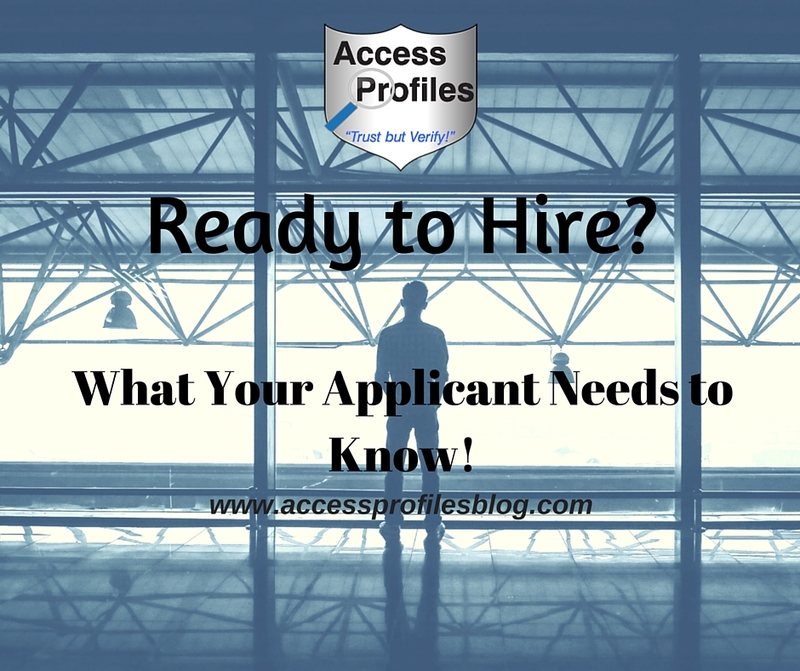 Preparing your applicants for the Hiring and Background Check process will go a long way towards creating a positive first impression about You and Your Company. It will also make hiring the best candidate much smoother…and isn’t that your ultimate goal? Need Help Hiring in Your Small Business? Contact Us! We will guide you in creating a Hiring Policy that works for You! Subscribe to our blog for one new article each week focused on Small Business Tips and News!